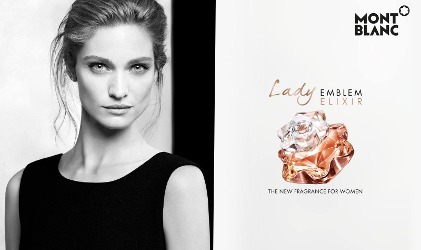 Montblanc has launched Lady Emblem Elixir, a new fragrance for women. Lady Emblem Elixir is a flanker to 2015's Lady Emblem. The notes for the 'new interpretation of rose' include mandarin, pepper, rose, orange blossom, patchouli and vanilla. Montblanc Lady Emblem Elixir is available in 30, 50 and 75 ml Eau de Parfum. But…but’s a pen company, where you get your dad and mom special pens? Thank you! This is exciting and very new to find out! Such pretty bottles! It cannot be a coincidence that this is cheap thrill week and the original is selling for well under $50 on discount sites, can it? I don’t see how it could!